There are a lot of Android tablets that have an amazing screen. The Huawei MediaPad is a great example. The large screen display is awesome for a lot of things, but it's really for watching movies. It's like holding a cinema in your hands. There are also a lot of movies to watch! Places like Netflix, Google Play Movies or HBO are filled with movies you can either stream or download, but a lot of us may have movies on DVD disc. While you can attach some portable DVD players to the USB port on some tablets, that's a pain to set up and makes for another thing to carry around. There's an easier solution. Rip the DVD movies you already have so you can watch them on your Huawei MediaPad tablet. And the easiest and best way to do it is absolutely free. To view ripped DVD movies on Huawei MediaPad, you should be clear of what digital file formats can be viewed on Huawei MediaPad. From the official page of Huawei, we can see Huawei MediaPad only supports to play video files with the format of either mp4 or 3gp. If you have done any searching about ripping DVD, you've seen people talk about Pavtube ByteCopy. It's known as a cross-platform disc ripping application which not only assists you to bypass all DVD copy protection automatically in the background, but also assists you to rip DVD disc, DVD Video_TS folder or DVD IFO/ISO image file to Huawei MediaPad supported mp4 or 3gp files with best quality. 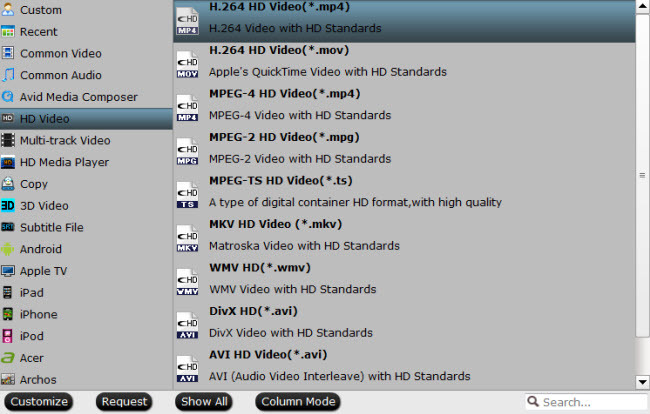 To get the best output file quality, you can also flexibly adjust output profile parameters such as video codec, resolution, bit rate, frame rate, audio codec, bit rate, sample rate, channels, etc to get the best output video and audio quality. Sometimes, you may find that the output video using an aspect ratio that doesn't match with your Huawei MediaPad, which will cause black bars or edges around the video when viewing the video on Huawei MediaPad. In that situation, you can easily remove the black edges by taking advantage of chaning the output video aspect ratio of the DVD video to make it match with the display screen ratio of your Huawei MediaPad. For Mac users, please switch to download Pavtube ByteCopy for Mac to perform the converison on macOS High Sierra, macOS Sierra, Mac OS X El Capitan, Mac OS X Yosemite, etc. Click the Format bar, from its drop-down list, select Huawei MediaPad supported digital file formats "H.264 HD Video(*.mp4)" under "HD Video" main category, you can also choose 3GP file formats according to your own needs. 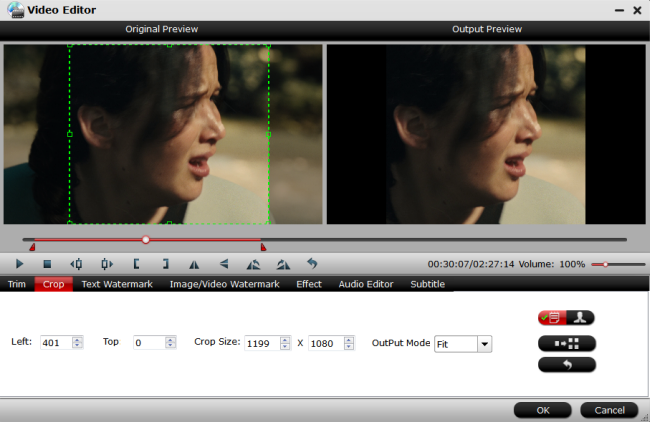 Step 4: Change output video aspect ratio. If you want to keep the cropped aspect ratio, Pavtube software offers several aspect ratios for you to choose from, including 16:10, 16:9, 5:4, 4:3, 3:2, and 2:1. Once you selected a "Display aspect ratio", the "green crop frame" will keep this ratio to crop video and you are able to preview the final effect in real time. For example, if you want to export a file with "3:2" aspect ratio, firstly, you choose "3:2" in "Display aspect ratio", and then go to "Settings" section to adjust the Video "Size(pix)" as 720x480 or 1440x960. After all setting is completed, hit the "Convert" button at the right bottom of the main interface to begin the conversion process from unsupported video to Huawei MediaPad. When the conversion is finished, click "Open Output Folder" icon on the main interface to open the folder with generated files. Then you will have no problem to transfer and play the converted video on Huawei Pad with ease.